SM desired a complete functional and esthetic makeover. 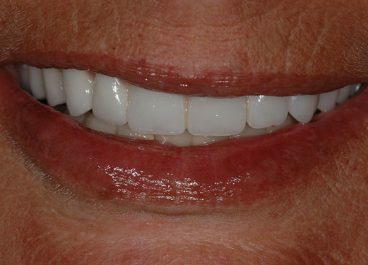 Our goal was to re-establish an even Smile plane, and brighten her teeth with highly esthetic porcelain. 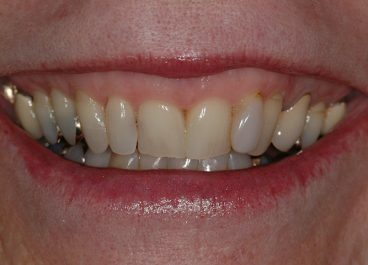 We tested all our changes in provisional restorations, and then converted this information into our final tooth and implant supported restorations. She has been very happy with her final result! SP’s primary concern was removing the gold that shows in the corners of her smile. When she saw herself in photographs it really bothered her. 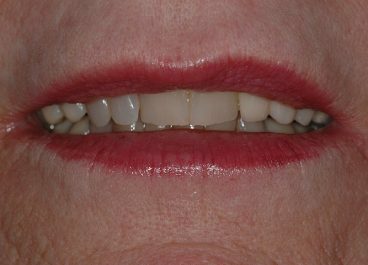 There were some alignment concerns that were discussed and her treatment was completed without the need for orthodontic care. All her changes were successfully tested in provisional restorations and completed using very conservative and esthetic IPS e.max restorations. 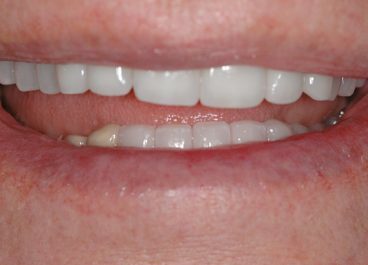 BG’s desire was to replace missing and broken teeth, without any removable solutions. 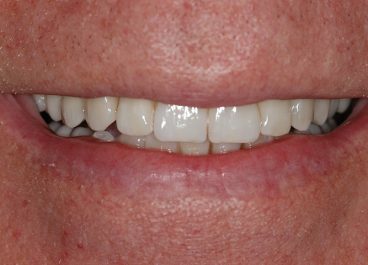 Our treatment was accomplished with 6 Straumann dental implants. 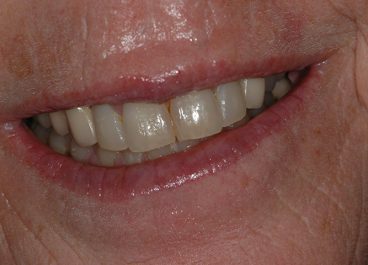 Her beautiful smile was restored, and we had one happy patient. 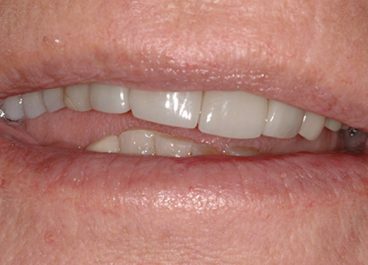 Patient desire was to restore her upper front teeth, one which needed dental implant replacement. 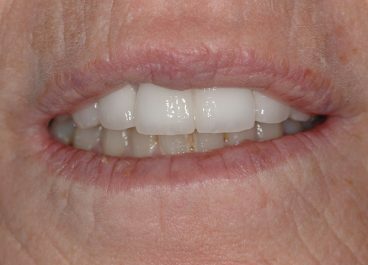 Additionally, her lower teeth were restored with a fixed hybrid solution All-on-4 treatment protocol. This was a very successful treatment! Material: Porcelain-High Noble Metal Prosthetics. 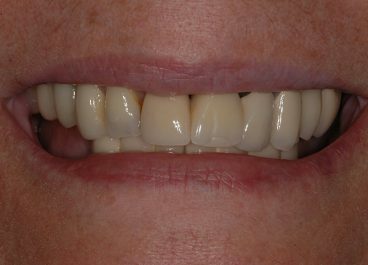 Patient desire was to accomplish dental restoration as “simply” as possible. 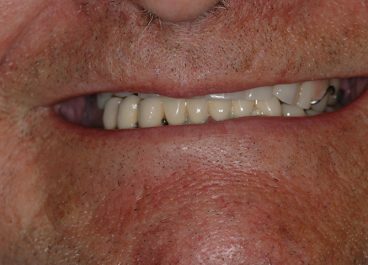 Patient had existing dental implants on his lower left. Decision was made to restore using these as part of design, but did not allow us to consider a removable solution for his lower teeth. 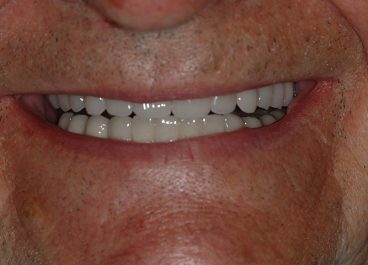 He had removable Implant Prosthetic teeth for his upper teeth, and he was very happy with our final results. 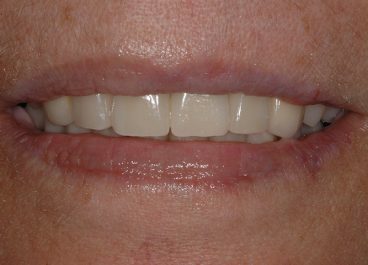 Patient’s desire was to brighten smile, increase the length of her teeth and straighten the uneven plane of her smile. All work was tested and proven in provisional restorations. Final work was done with very esthetic and bright porcelain. She was very happy with our result. 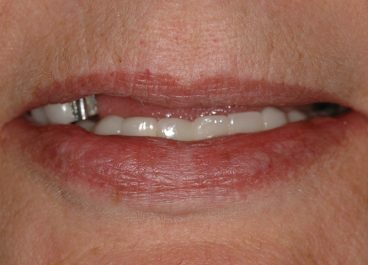 SA, unfortunately, had a compromised situation when we began our treatment, and our only reasonable option was to restore his teeth using dental implants. 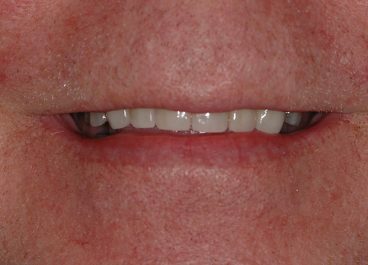 After successful provisional restorations, we restored his mouth with esthetic and durable zirconia and porcelain restorations.